Genesis Shining in the Darkness (USA) in 43:27.2 by DarkKobold. 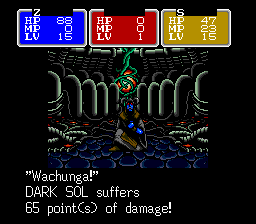 Shining in the Darkness is the first in the Shining series, which includes Shining Force. Unlike the later games, it is a first person dungeon crawler. The author dissected the game with the help of Lua scripts to find optimal battles and avoid random encounters.